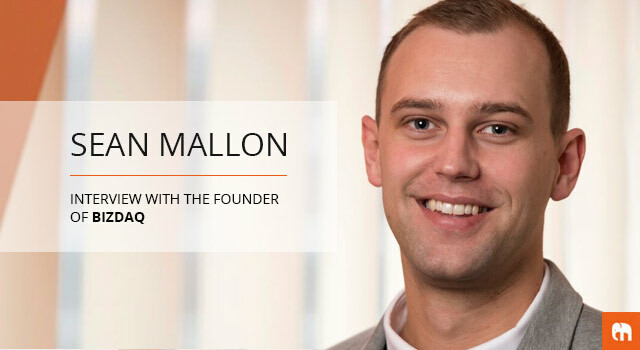 Sean Mallon is a 29 year old entrepreneur who started his first business, Intelligent Business Transfer, at the age of 21, armed with just a Yellow Pages and a mobile phone. He has successfully run this business for over 8 years now, helping more that 1,200 everyday entrepreneurs realise the value of their hard work by successfully completing the sale of their businesses. Sean identified the trend toward self-service platforms like eBay, Gumtree and eMoove, deciding that the business transfer industry was prime for a disruptive new business model. He spent around six months attempting to secure funding for the new business, successfully securing £1 million of investment last year – launching Bizdaq in November 2014. With Bizdaq Sean is cleaning up an industry and ensuring that small business owners save on average over £10,000 on the sale of their business. Q1. Sean, tell us a bit about your background, and what led you to wanting to set up your own business. From 15 I started using eBay as well as other platforms during the early web boom to sell anything I could! I enjoyed the thrill of taking something and making a profit on it. I was thinking of new business ideas all the time, and knew I would eventually start a business of my own. Q2. What businesses have you started, and what have you learnt from the experience? I worked for a couple of business brokers in my early career and loved it. I also knew I could do better than what was being offered, so at 21 I started my own business brokerage called “Intelligent Business Transfer”. I started this business with next to no capital and literally started cold calling from a Yellow Pages looking for business. It was a hard slog, but I gathered momentum, took on staff and it’s now 8 years old with 35 staff and one of the largest in the UK. Most recently I established Bizdaq, which is the world’s first online platform for small business sellers and buyers to conduct the entire sale of their business online, including valuation, advertising, arranging viewings, negotiating offers and providing some of the legal documents required for completion. I’ve had my own businesses for almost a decade now, and I have often considered where we could be, had I had hindsight! The biggest lessons I’ve learnt are first of all, that getting a good team, motivating them and having them as your focus is the biggest asset you can have. There is no exception to this rule, although in my early days I no doubt took good staff for granted. Secondly I would suggest that learning quickly, and taking smart risks are vital to success and finally I have learnt that momentum is equally critical for both your own sanity and staff morale, so once you have momentum in a business, work harder and push harder to keep growing. It was always a challenge launching Bizdaq, especially as we were potentially “eating our own dinner” given that we already had a successful business model in the marketplace. However, I had felt for years that the lack of options and clarity in the space was going to be filled by someone, so why not us. Being an “agent” of any form and offering a “service” in any form has changed dramatically in the past 5-6 years. Mainly in that customers are realising that technology can often offer better and more transparent result than traditional models, and more importantly they can save on huge fees. I have seen in our own industry, that the demand for “self serving” the process of a small business sale was becoming greater every year. In fact in our traditional agency, we found that our biggest competitor was quickly becoming business owners selling their own business rather than using our agency competitors. The challenge small business owners faced when selling themselves was that they lacked the knowledge or the tools in order to manage the sale successfully. We spent 18 months building Bizdaq and this involved opening up all our “insider” knowledge from running an agency and putting it into the platform. We believe that sellers and buyers can now conduct a small business sale for a fraction of the cost, with a major increase in efficiency. We are located in Leeds, however we have national exposure already with businesses listed from and online business as far north as the Shetlands in Scotland to a hotel in Hampshire, England. We currently have a very specialist and talented team of 7 working Bizdaq full time, with more positions opening all the time. Q4. How difficult was it setting up Bizdaq – growing the business, getting customers, etc? Bizdaq went from an idea, to a hugely detailed spider chart across a large office wall, to a wireframe and into a working model in about 24 months. I knew that to make Bizdaq a success, I needed external funding as well as additional expertise. It took me around 9-12 months to raise capital with the right partner, and I showed my commitment to the project by using my own resources alongside the incoming capital. Raising funding was a challenge, however I was fortunate that I had options for where I wanted to take Bizdaq and with whom. I played the waiting game for the right partners, and when they came in we were quick to get started. The biggest challenge however was the underestimation of just how much energy was required to shift an entire marketplace into using a new method for their success. We are becoming established now, and have got credibility having had one of our first clients sell his business in 3 weeks on Bizdaq and save £10,000! Q5. How do you promote your business and drive traffic to your website? We’re experimenting in this area all the time and we’ve tested a range of channels to see which drive traffic and conversions. Primarily we drive conversions through paid channels like Adwords and content marketing through our expert guides. The expert guides in particular are going to be key to our success and this is an area that we’re really investing in moving forward. We’re also trialling social ads on Twitter and Facebook, as well as using native advertising on platforms like Taboola. The truth is that to date a significant number of our existing clients have come through referral from people that have either used or heard about the service. Q6. How important is the website for your business and how closely involved were you in developing it? As a SaaS (Software as a Service) business everything depends on the performance of our website to both drive seller sign up as well as buyer enquiries for our sellers. One of the key elements of the site is the online valuation tool which allows any potential business seller to get an accurate valuation of their business within seconds. I was personally involved in the creation of this tool including the logic and algorithm behind the valuation, all of which was based on our previous sales data from Intelligent. It’s become a key sales tool for our website and allows for our site to truly replace the service that a traditional agent would provide. I was involved in every aspect of the site’s development, probably too involved looking back. The functionality and UX/UI elements were key, and having been involved in so many business sales, I felt I had to lead this without question. Over time, I have managed to build a team who are as passionate and aware of the solution we are trying to provide for small business owners which has allowed me to focus on other areas of the business now that we’ve launched. Q7. How does Bizdaq stand out from its competitors? Before Bizdaq, small business owners had two choices – sell with a business transfer agent (a marketplace plagued with many poor operators – and the odd good one!) or try to sell themselves, with the only tool available being a standard “listing” type site. The challenge in doing it yourself prior to Bizdaq was that sellers lacked the expertise to handle enquiries efficiently, as well as falling short in terms of details being provided to buyers etc. Bizdaq guides buyers and sellers on a step by step journey through the sale, from enquiry to offers, which means that the chances of a sale not completing is reduced significantly. We also have a huge amount of collateral available within the platform such as a business valuation tool based on historical sale data. Our platform is also only used by actual business owners and business buyers – direct buyer to seller – which means that the whole process will happen much faster. The platform also generates all documents needed such as “heads of terms” as and when a sale is agreed, which saves customers even more costs. You can sell your business for as little as £66.50 per month, as well as a 14 day free trial being offered so sellers can test the market before they use us. Q8. Do you use Facebook, Twitter, YouTube, etc to promote your website? How successful has it been for you? Any advice on how businesses can use social media to promote themselves? Yes, we are trying to build a marketplace and therefore social media and a big online presence is critical. 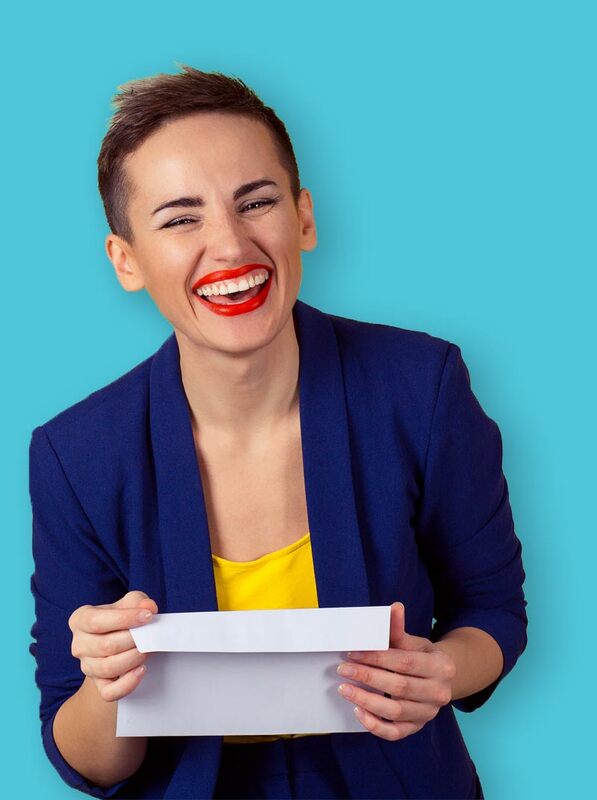 I would advise any business starting up to think carefully about their “personality” as a business. For example, we built “tone of voice” documents in the early stages, which dictate the way we talk to customers and the perception we want users to have of our brand. By doing this we keep “on brand” and ensure that as our team and business grows, we all have the same values. Q9. What mistakes have you made in your businesses, and what would you have done differently? As I said earlier, my recruitment in the early days wasn’t great. We didn’t offer good enough packages or spend enough time making sure the team bought into what we were trying to do – nowadays it couldn’t be more different. When I was in my early 20’s, I had a good profitable business and I probably spent too much time having a good time, rather than focusing on a clear goal. I don’t regret this whatsoever as I learnt a lot and you can only progress by learning from mistakes. Q10. What’s it like managing your business? Describe your typical day. My days vary that much that there isn’t really a “typical” day. As an example, yesterday I did the school run and was in for about 8am (I still take my girls to nursery twice a week!). We had an early meeting with a digital agency who were looking to take on some of our work which went well. I had a couple of interviews after this for a developer job we have been looking to fill for a month – possibly being too picky! In the afternoon I spent time with our digital analyst and UX/UI lead reviewing some key results on some A/B testing we have been doing on the platform, we made some decisions for expanding on these successes. The latter part of my day was spent catching up on emails and voicemails, and then played 5 a side for our work footy team! Q11. Where does that drive to be your own boss come from? Why did you decide the life of a 9-5 employee was not for you? I like to lead and I think that’s my strength. I think I am a good (ish) listener which has come with experience but I don’t think I could work if I wasn’t driving the businesses. Q12. Which entrepreneur/person has inspired you the most & why? I’m a self confessed poor networker – I have always kept my head down and done my own thing so haven’t really spent much time being inspired. That said, in recent years seeing some of the major success stories in the UK tech scene has really got me excited. Q13. What advice would you give to somebody thinking of starting their own business? Plan, take your time and then just get on with it. There are successes and learnings you won’t get anywhere else even if it doesn’t work as planned – and I guarantee you’ll be a more rounded person for it. We are gathering some serious momentum at the minute and have tasked ourselves with being in the top 3 sites for business sales within 12 months of launch – a big ask, however we are confident we are going to achieve this. Thanks Sean, from everyone at Easyspace. Has Sean inspired you to start your own business? Maybe he has encouraged you to set up your own website? If he has, then begin by searching for the domain name you want, then get some web hosting. Then you’ll be on your way to getting your website set up. With this in mind, Easyspace has created EasySiteLive PRO – a website builder product, to help get your website up and running in no time. 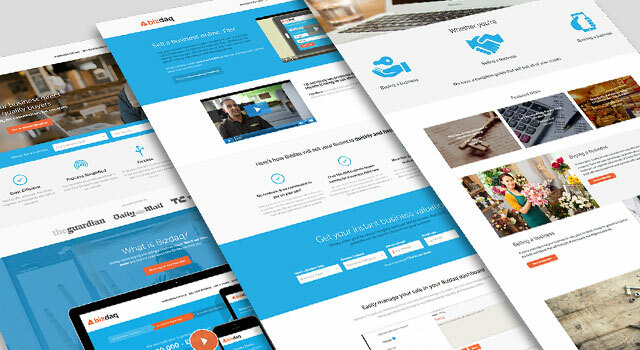 Click here to try our new EasySiteLive PRO website builder for 21 Days Free of charge.